There's a lot to love about iOS and Android, but one area where Apple clearly has the advantage is software updates, and this has been reinforced by the latest iOS 7 figures. Apple has confirmed that iOS 7 is now on 74% of Apple devices (which includes iPod Touches, iPhones and iPads), while 22% are still rocking iOS 6 and just 4% are on earlier software. This is a huge leap from October, when iOS 7 accounted for just 10% of iOS usage, although to be fair to Apple it only launched its latest software in September. 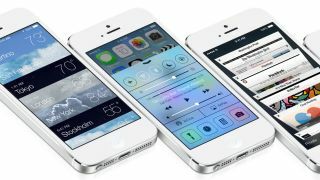 These figures mean iOS 7 has set a new record as the fastest adopted software release in Apple's history, partly thanks to the limited range of products the Cupertino firm has on its books. These figures seem all the more impressive when you compare them against the highly fragmented Android ecosystem. Just 1.1% of Google devices currently lay claim to Android 4.4 KitKat, which launched a month later than iOS 7 at the end of October 2013. A whopping 54% are still rocking Jelly Bean, which itself is fragmented into three sections - Android 4.1, 4.2 and 4.3. 18.6% are stuck on Ice Cream Sandwich and an embarrassing 24.1% are languishing on Android 2.3 Gingerbread, which launched way back in 2010. Apple may not give you a huge range of products, and Android does offer some far more affordable options, but when it comes to software support iOS is still way out in front.